THIS IS YOUR ONE AND ONLY WARNING, SPOILERS ARE BELOW. I generally go to the movies with low expectations. It’s fairly difficult to reach the caliber that I hold movies to. When it comes to film adaptations of books, it’s nearly impossible to outshine its written form. 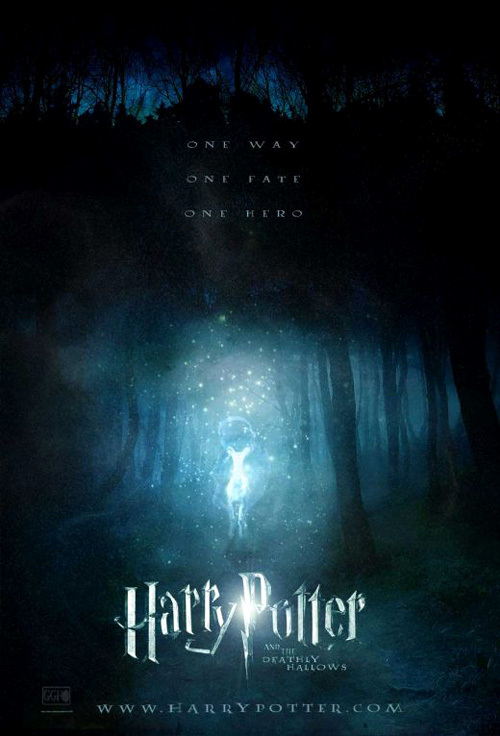 Unlike other franchises, the Harry Potter films have been pretty decent overall. But after the travesty that was Harry Potter and the Half Blood Prince, things really could only improve. On the other hand, this is the last chapter of the Harry Potter saga, a well-loved childhood staple of gazillions of people across the planet. Greatness is expected. Armed with popcorn and Diet Pepsi, I settled myself in a seat with a questionable stain and prepared myself for what hopefully was going to be an epic experience. I am happy to report that of approximately 2:45 a.m. yesterday, my Harry Potter heart has been so incredibly happy. But this is me, I can find the negative in anything. Yay pessimism. The cast of Harry Potter must be the most awkward pack of kissers I have ever seen on film. Every single kissing scene in these movies has made me cringe. First, the Harry/Cho kiss where their arms were awkwardly pinned to their sides like soldiers. Second, well, I’m not even going to into the Ron/Lavender mess. Third, the Harry/Ginny smooches. It doesn’t help that she’s taller than him, I see no chemistry between them whatsoever and their relationship has always been paired with scenes of extreme awkwardness. In the sixth movie, there was the whole “Your shoelace is untied, let me do that for you.” I remember the entire theater expressing their confusion. Um, Ginny what exactly are you doing down there? This movie we got Ginny asking Harry to “zip her up.” Classy. Harry seemed to have a tough time with that zipper, it took like five minutes to close the damn dress…and then he went in for the kill. And the Harry/Hermione Horcrux mack was way over the top. Did they need to be naked? No. Did they need to eat each other’s faces? No. I hope the Ron/Hermione kiss in the next movie lacks the above nastiness. We’ve been waiting forever for this moment. Don’t screw it up. Which leads to my next subject, the interactions between the Trio. Ron and Hermione were So. Freaking. Adorable. The fangirl in me was smiling the entire time. Harry and Hermione’s friendship got an emphasis while Ron was MIA. The addition of the H/H dancing scene was cute, a tad unnecessary but cute. While I don’t consider any of the Trio to be terrific, Oscar worthy actors, they have gotten better over the years. When they cry it’s semi-believable now. A few minor tweaks were made for what I assume would be time limits: no goodbye scene between Harry and the Dursleys, no ghoul in pajamas, Harry wasn’t disguised at the wedding, the Ministry of Magic expedition was pretty brief, no in-depth explanation of Dumbledore’s family, Wormtail didn’t die etc. In addition to the dancing scene, some extras were also thrown in mostly for comic relief. Now to the deaths, two points: A) If you read the books you knew they were coming and B) They weren’t THAT sad. The girl next to me cried constantly throughout the entire movie. So either she just suffered a heartbreaking breakup or she’s emotionally unstable. My last rant for this film goes to the wardrobe department. Harry and Ron were dressed in some of the ugliest effing sweaters I have ever seen. You’ve got what must be a multi-million dollar budget, loosen the purse strings a little here. Don’t get me wrong, the HP7.1 was good, great even. I am sure I will see it at least one more time in theaters, but it just wouldn’t be typical of me to just address the positives. Can it be July 15 now? Oh and Voldie? Try some spray-on tan and consider getting a rhinoplasty.